Henry Holt & Company, 9780805092936, 232pp. Together, Ambrose and Mistletoe begin to unravel the mystery of their identities and learn that they're pawns in a bigger game: the Unison 3.0 upgrade, a whole new kind of Friendship. Andy Marino was born and raised in Clifton Park, New York. He graduated from NYU and currently lives in Queens. 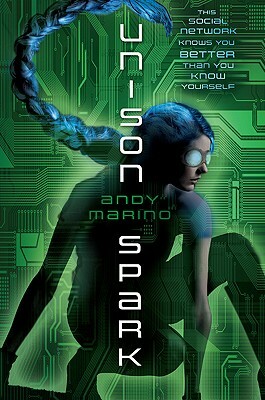 "Unison Spark" is his first novel. Visit him online at andy-marino.com.